Mr. Erickson has been with Erickson, Bell, Beckman & Quinn, P.A. since the firm’s inception in 2010. 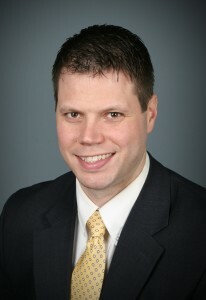 Jim began his legal career as a law clerk and student attorney in 2005, and started as an associate attorney at the law firm Jensen, Bell, Converse and Erickson after graduating from William Mitchell College of Law in 2006. Jim practices primarily in the areas of personal injury and worker’s compensation. Jim’s practice is devoted to helping people recover fair compensation due to complicated work injuries, premises liability claims, and injuries arising out of auto accidents. Jim also serves as a City Prosecutor for several suburban communities and is responsible for handling misdemeanor-level offenses from the charging stage through trial. Jim is an experienced litigator who obtains great results for his clients. He will travel to your location to meet with you and review the merits of you case.